These breakfast nachos are perfect for feeding the whole family, a weekend brunch with friends, or even prepping ahead and reheating for your weekly breakfasts. It’s super easy to make thanks a simple ingredient list a couple of frozen, ready-to-go products. 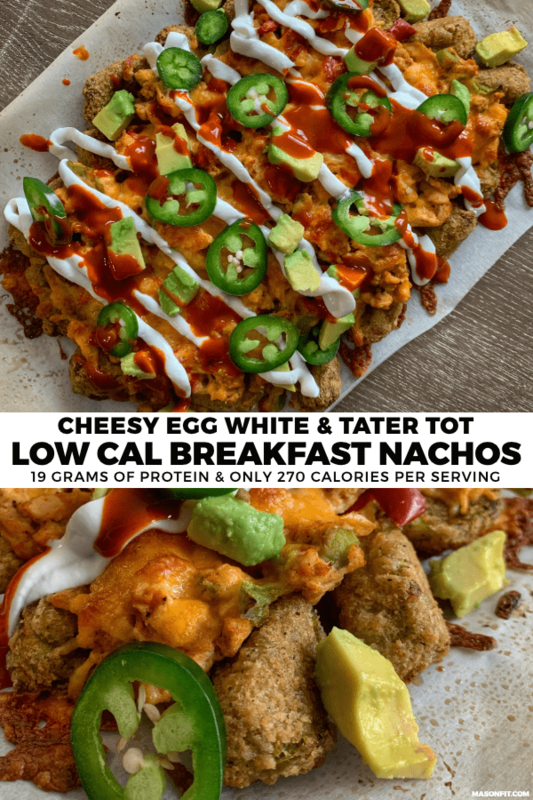 And as far as nutrition facts go, one serving of these tater tot nachos has 270 calories, 19 grams of protein, 23 grams of carbs, and 11 grams of fat. That said, they’re highly customizable to adjust for your taste and macro preferences. 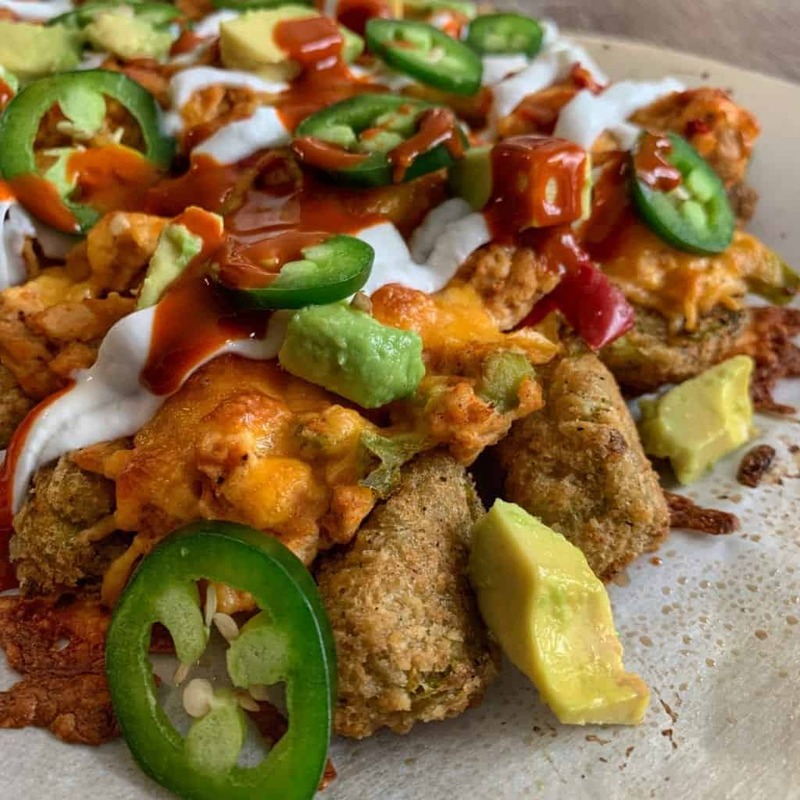 Similar to my Chili Dog Tater Tot Casserole, these breakfast nachos call for frozen tots. 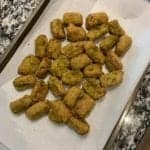 I used cauliflower tots in the casserole, and I used a similar broccoli tots product from Green Giant for this recipe. 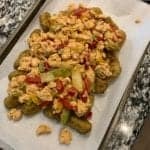 While these products are a great way to sneak more veggies in your diet and have slightly better macros, it’s totally fine to use real frozen tater tots. You could also use something like my high protein cauliflower tots if you wanted to make your own. 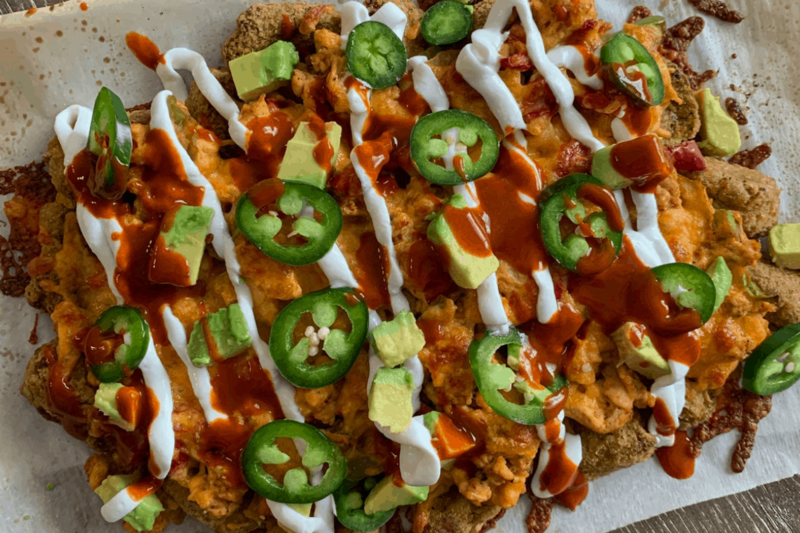 Or you could get away from tots altogether and use something like roasted sweet potatoes like in my sweet potato nachos. As for what goes on top of the tots, this is also customizable. 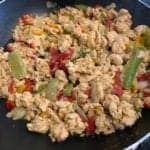 The recipe makes a southwest style egg white mixture with onions, peppers, and chili lime egg whites. You could use whole eggs, change up the spices, or use different veggies if you’d like. The chili lime seasoning just seems to work perfectly for breakfast nachos. Oh, and if you wanted to use fresh peppers and onions instead of the frozen version, nothing really changes except for the cook time. Obviously, you won’t need to cook them in the skillet as long as the frozen version. But that’s about it. Once you’ve made the eggxeuctive decision about what’s going on top of your tots, all that’s left is the cheese. I kept it simple with shredded cheddar, but you could use anything your heart desires. The reduced fat shredded cheddar in the recipe has 180 calories per 1/2 cup, for comparison. That’s nothing special in the macro department. So go crazy with alternatives. To keep calories under control, I opted for a simple combo of sliced jalapeño, diced avocado, and a fat free Greek yogurt and hot sauce drizzle. Other than the avocado, these are all ultra low calorie nacho toppings. If you’re interested in a condiment that’s macro friendly and extra tasty, check out the spicy sauce from my Cheesy Gordita Crunch Copycat Recipe. That’s about it. This is a simple one, so I don’t have many notes. 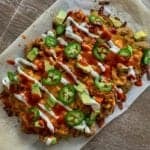 If you try these tater tot breakfast nachos, I’d love to see them. 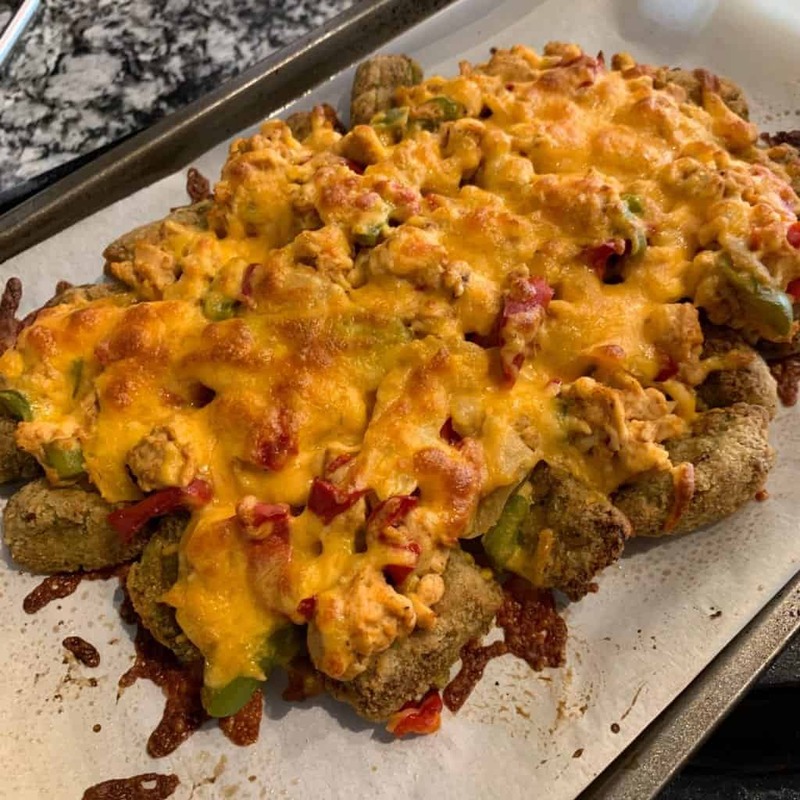 You can take a photo and tag me on Instagram @mason_woodruff, join my free Facebook group and share it with the Proton Party, or pin this recipe to Pinterest. Southwest style egg whites on top of tots and covered with cheese. Bake or air fry the broccoli tots according to the package's instructions. 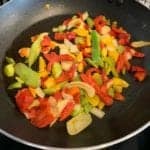 Add the pepper and onion blend to a large skillet over high heat. Cook until fully thawed and softened, about 6-8 minutes. Reduce the heat to medium before adding the egg whites and spices to the skillet. Cook until the egg whites are fully cooked. Remove the tots from the oven and add the egg white mixture to on top. Cover with cheese and bake for an additional 3-5 minutes or until the cheese is melted. Serve with sliced jalapeño peppers, avocado, fat free Greek yogurt, and hot sauce, if desired. 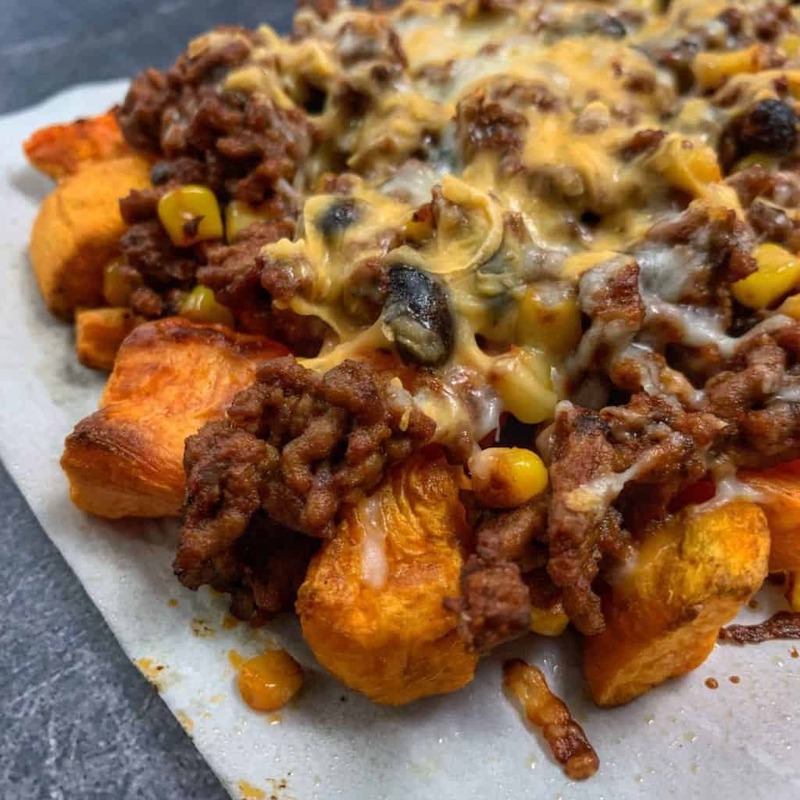 The sweet potato nachos I mentioned above use an incredible chipotle beef mixture that would go great on top of tots (or anything, to be honest). 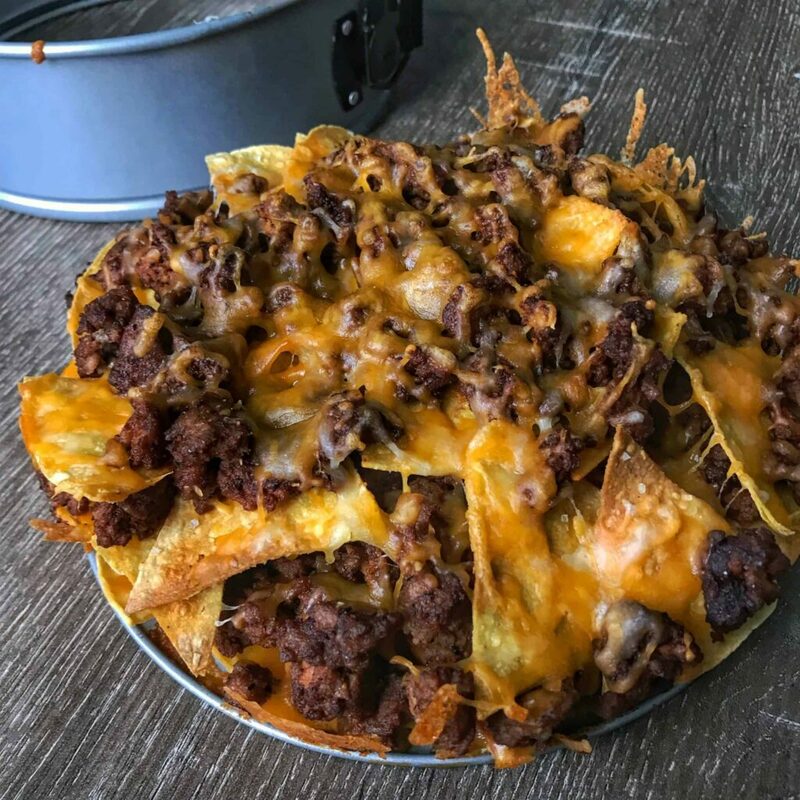 And if you’re a fan of chorizo, my homemade chorizo and beef layered nachos combine lower calorie meats with lower calorie tortilla chips to create healthier nachos that will blow your mind. I’m having a hard time choosing my favorite MasonFit recipe, but this is a contender! Love it!